"FIJI My Journey to the South Pacific" event, Saturday May 16th! 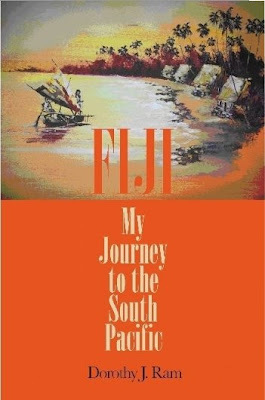 Join local author Dorothy J. Ram as she discusses her new book "Fiji, My Journey to the South Pacific". About the author: Dorothy Williams was born to Harold Williams of Ohio and Evelyn Rogers of Indiana in August of 1935. Dorothy is one of seven children. She met her husband, Claudius Ram (Richard) in 1953 while in her senior year at Huntington High School and married three months later. They lived in the U.S. from 1953 to 1960, until Claudius was called home to Fiji to help in the family logging business. With two toddlers, Deborah age 4 and Richard at 18 months, they journeyed to a small village off the Coral Coast called Navutulevu. This is where her extraordinary story of life in Fiji begins.